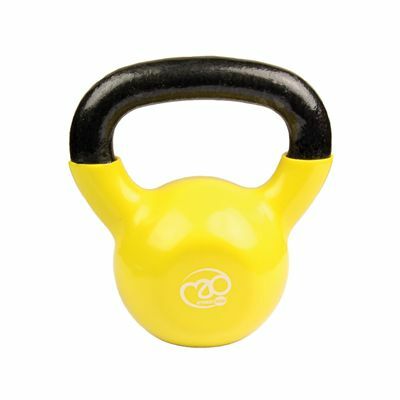 The Fitness Mad 6kg (13lbs) kettlebell is fitted with an oversized powder coated handle for maximum comfort and an excellent grip. This durable exercise tool is great for burning calories, developing cardio fitness and gaining more strength. It significantly improves endurance, agility and balance and features a base with a heavy duty vinyl skin cover which helps to protect the floor. for submitting product information about Fitness Mad 6kg Kettlebell We aim to answer all questions within 2-3 days. for submitting product information about Fitness Mad 6kg Kettlebell. We aim to answer all questions within 2-3 days. If you provided your name and email address, we will email you as soon as the answer is published. for submitting product review about Fitness Mad 6kg Kettlebell.